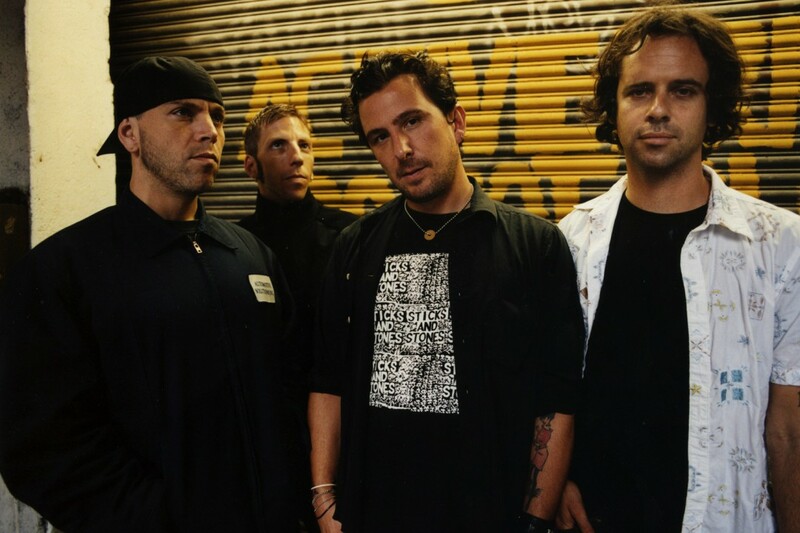 In a move that makes just about all the sense in the world, Hot Water Music drummer George Rebelo has joined the Bouncing Souls. He replaces former drummer Michael McDermott (second from left), who left the band in June after 13 years. Rebelo's first show as the Souls drummer was last night at Asbury Lanes in Asbury Park, NJ. A few fans have posted photos and short videos from last night's show on Instagram. The Bouncing Souls' next release will be a split with The Menzingers, due out November 5, 2013.